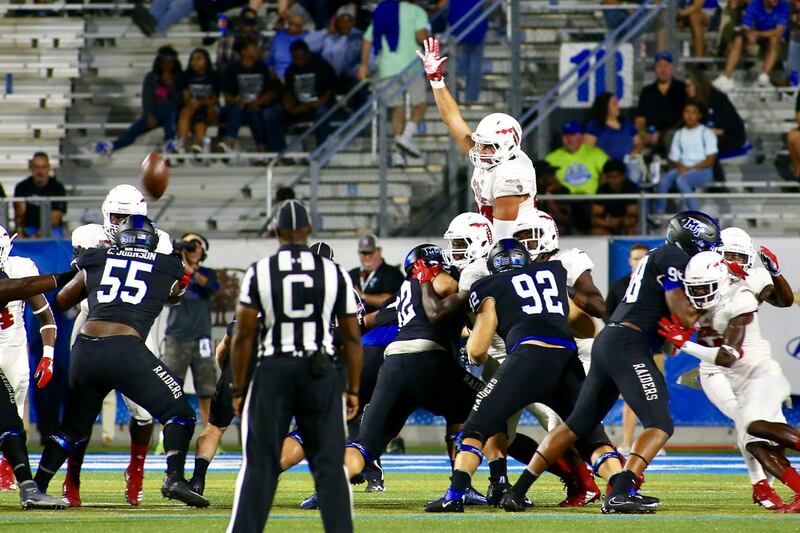 FAU quarterback Chris Robison believes complacency may have set it after the Owls’ offense took a two-score lead into the second half. “It’s good that we got up, but I think we let that get to our heads and we started to check the scoreboard and look at that, and leave it up to the defense to stop them instead of putting points on the board and worrying about us,” Robison said. 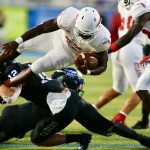 FAU scored 14 first-quarter points and had 21 points at the half, but managed only three more points over the final 30 minutes of a 25-24 loss at Middle Tennessee. After racing to more than 300 yards of total offense in the first half, MTSU’s defense clamped down, holding the Owls to less than 100 in the second half. “I think that they just geared up more to stop the run,” Kiffin said. Despite being handed good starting field position on multiple second-half occasions, Robison couldn’t ignite the Owls’ offense. On the night Robison completed 17 of 27 passes for 157 yards. He threw for fewer than 40 yards in the second half. Afterward Kiffin said Robison, a redshirt freshman, isn’t progressing as quickly as expected. “We’ll have to discuss fixing our offense because that second half was embarrassing,” Kiffin said. Turning Point: With FAU leading 21-10. Rashad Smith intercepted Brent Stockstill on the first possession of the second half, giving FAU the ball at the Blue Raiders’ 37. Rather than blowing the game open with a quick score, FAU ran three plays, intent on going for a first down on fourth and five. But a Devin Singletary false start penalty moved FAU back five yards. The Owls punted away what should have been a scoring opportunity. Remember those discussions a few weeks ago about FAU being a Top 25 team? Yeah, neither do we. The magic from last year’s team didn’t carry over to this year. Is it too late to lure Jason Driskel out of retirement? The defense actually played pretty well on Saturday. They were inches from producing what would have been a game-winning goal line stand. They forced two turnovers. They gave the Owls a chance to win. When Hunter Snyder blocked a first half field goal it looked like FAU might finally have a good special teams day. Nope. FAU botched a field goal attempt and muffed a couple of kickoff catches. Did anyone really believe that if FAU managed to get into field goal range in the closing seconds that the Owls would make the kick? Chris Robison’s reckless style can be fun to watch, but he has to do a better job of avoiding hits at the end of plays. He took a couple more head shots on Saturday. 1 – Sack for FAU. It was Will Davis’ first of the year. 3 – Penalties on guard BJ Etienne. All seemed to come at critical times. 4 – Third down conversions on 14 tries for MTSU. 5 – Interception return yards for Rashad Smith. Five games into the season the Owls’ linebacker has all three of FAU’s interceptions on the season. 6 – Third down conversions on 17 attempts for FAU. 8.0 – Yards per carry for Kerrith Whyte, who rushed for 72 yards. During the second half Whyte looked more like the Owls’ feature back than a backup. 118 – Rushing yards for Devin Singletary on 3.5 yards per carry. 301 – Total yards of offense for FAU in the first half. 442 – Total points scored by Singletary in his career, passing Greg Joseph for most in program history. 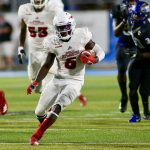 Up Next: FAU welcomes Old Dominion to Howard Schnellenberger Field on Saturday for the Owls’ C-USA home opener. Kickoff is scheduled for 5 p.m.